Studies about weather and climate and the ways in which they shape life on Earth have long had a place in the school curriculum. Today, as we struggle to understand the surprisingly new ways in which weather and climate are influencing our lives, the need for an informed citizenry is greater than ever. The most recent set of four EarthLabs Climate modules will play a key role in helping students deepen their understanding of how our climate system works. Like their climate-related EarthLabs predecessors (Drought; Hurricanes; etc. ), the new modules address weather and climate not simply as atmospheric processes but in the context of the interconnected Earth system, which includes the planet's oceans, landmasses, biosphere, and cryosphere (Earth's frozen places), as well as the atmosphere. Although the main focus of the four new climate modules is climate literacy, it is impossible to ignore climate change when one looks seriously at climate data, something that students do in each of the new modules. A brief introduction to the new modules (below) is followed by some classroom implementation suggestions and science background notes that can help you address student questions and support student learning across all of the EarthLabs Climate modules. Water is unique among Earth's natural materials. In addition to the essential role it plays in supporting life, it covers a large portion of our planet and has a freezing/melting point that is fairly close to Earth's average temperature. This results in water being present in both liquid and solid forms on Earth's surface, depending on location. 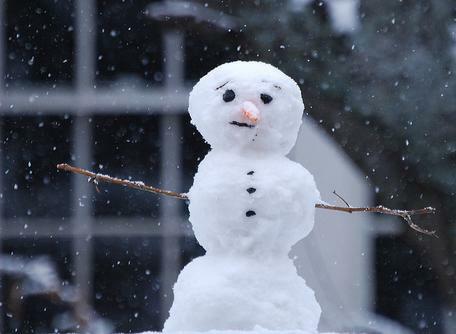 Relatively small changes in Earth's average temperature dramatically increase or decrease the amount of Earth's snow and ice. Earth's average temperature today is just 4° to 5° C warmer than it was during the last glaciation, when a large area of the northern United States was buried under 3 to 4 kilometers of ice. This dynamic cryosphere does not simply react to Earth's climate; it also plays a key role in shaping it. In this module, students learn about the dynamic nature of Earth's land and sea ice, how the cryosphere and our climate shape one another, and what scientists are discovering about Earth's climate by studying ice that was formed hundreds of thousands of years ago. When you go outside, do you see cactus or willow trees? White pine or southern yellow pine? What you see depends on the climate in your region. The distinction between weather and climate is often misunderstood, but the native plants we find in any location are good indicators of climate; they are adapted to and dependent upon the long-term average atmospheric conditions (climate) and not on the day-to-day, often quite variable conditions (weather). It is solar energy that drives our planet's weather processes, so any change in Earth's energy balance is likely to result in climate change. 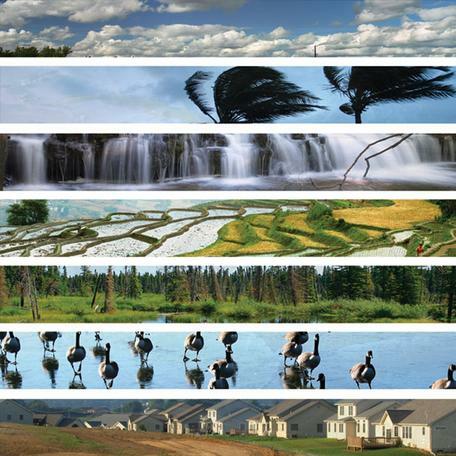 This module addresses these topics in detail, as well as the differences between weather and climate, the various temporal and spatial scales at which climate processes occur, and the relationship between climate and our planet's biosphere (in particular, the plants life on Earth). Earth is sometimes called the water planet, but carbon is no less essential in shaping the nature of the planet or life on Earth. It is present in the atmosphere, the biosphere, the rocky parts of Earth, in Earth's waters, and trapped in the planet's ice, and it cycles through both the living and non-living elements of the planet at extremely different rates. 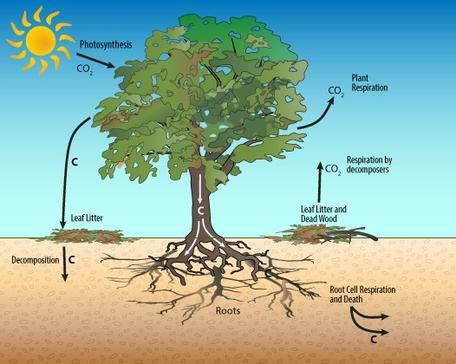 Plants can remove carbon from the atmosphere (photosynthesis) and release it back (respiration) in a matter of seconds or minutes, while coal can store it for millions of years before, through combustion, CO2 is cycled into the atmosphere. But it's the amount of carbon in the atmosphere that plays a major role in Earth's climate, and consequently, on the nature of life on Earth. This module helps students deepen their understanding of the carbon cycle, the feedback loops that add such complexity to the Earth system, and the critical role that atmospheric carbon plays in shaping the planet, from the greenhouse effect and Earth's climate to life in the oceans. Is it time to start calling Earth the Carbon Planet? 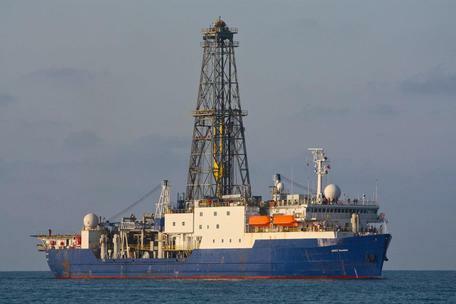 This module takes students on a virtual expedition on the ocean drilling research vessel JOIDES Resolution. After students have met the science crew and toured the ship they learn how to inspect and analyze the sediment cores that the ship recovers from hundreds of meters below the sea floor in order to collect data about paleoclimate conditions that existed in the area. Their final challenge is to make use of the knowledge and skills they have acquired in the module by doing their own analysis of the sediments, microfossils, oxygen isotopes, and Earth's magnetic field for a core recovered from the Gulf of Alaska. Students use this proxy data to sketch a record of climate conditions and climate change that occurred millions of years ago, and in the process they develop a sense for how science is done, the role of proxy data, and how we know what we know.